We met through a mutual friend’s birthday party. We dated 2 years and then got engaged in Weston, MO. We both loved to travel together so after we got engaged we knew we wanted to have a destination wedding. We wanted something more intimate but it ended up being a larger wedding than expected. 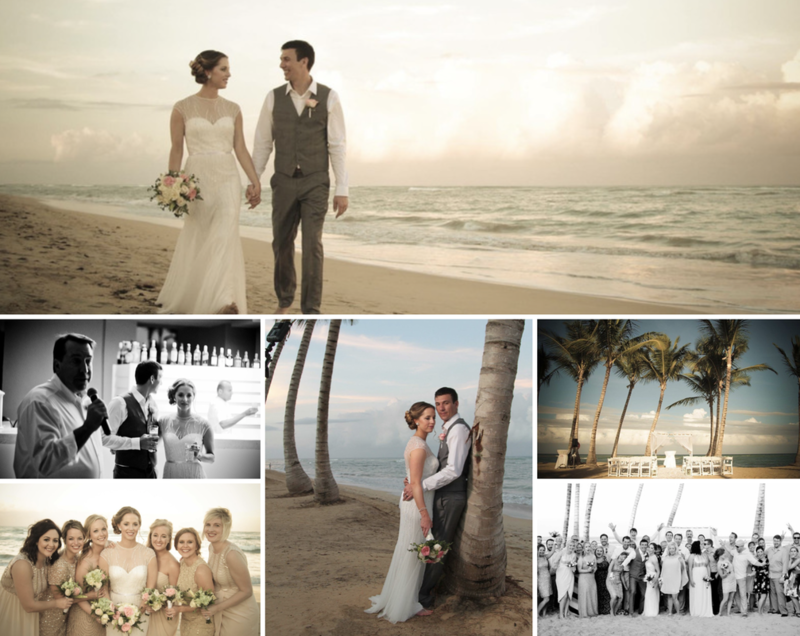 We were pleasantly surprised and would highly recommend a destination wedding to anyone! ​Search on Instagram. Gonzalophotographer on Instagram. Having our very closest friend and family vacation with us and celebrate our marriage. We had a rehearsal dinner on the beach the night before and a day cruise the day after that gave everyone a chance to celebrate more. Kim Cook was highly recommend from a friend! ​​Do not stress before going about the planning. They take extra care of you when you get to the resort. Sit back and relax. Only thing to plan is venue, date, and symbolic or ritual ceremony.